House hunting is becoming more convenient, all thanks to live streaming. More and more real estate agents are using the power live streaming to host “virtual open houses”. Realtors go live on Facebook and Periscope as they take their online audiences on a guided tour of the space, showing every detail and answering questions on the fly. An agent sets up a time to go live and announces it to their social media following. They go live at said time, walking through the property, space by space. Some realtors even do a live streaming spree, showing 5 or 10 properties throughout the day. Other open house events combine both physical visitors and virtual ones from the online stream. Watching real potential buyers walking around creates a special sense of urgency and competition for the online audiences (an effect agents really love). Why host a virtual open house? Studies have shown a 403 percent increase in interest when your house has a video attached to it and not just a slide show. It’s a great tool for realtors, no doubt, but it is also very useful for the buyers. Audiences tune in from the comfort of their home, interacting with the agent in real time. Not every viewer of the virtual open house may be ready to buy today, but everyone still has a chance to shop around with no obligations. Realtors cover everything from pricing to neighborhood to what the landlord is like. They are able to show the property to many people at once, thus saving time (and money) for everyone. Over 50% of buyer find their house online, and of those 90% still used an agent to make their purchase. A virtual open house is an opportunity for the agent to capture leads through likes and comments. Even if they don’t go for this particular listing – the agent knows they are potential buyers. After the live stream is over, the virtual open house video becomes on-demand content, which can then be shared, downloaded, edited, and re-purposed. The agent now has a house tour video that he can share on Instagram, YouTube, Facebook, or even email. This is also a perfect self-marketing opportunity for the agent. They get to introduce themselves to potential buyers and grow their personal brand. The potential buyers, on the other hand, get to know the agent before ever meeting him. Agents are encouraged to show their personality on camera, be memorable, and most of all – be honest and bring value to the audience. 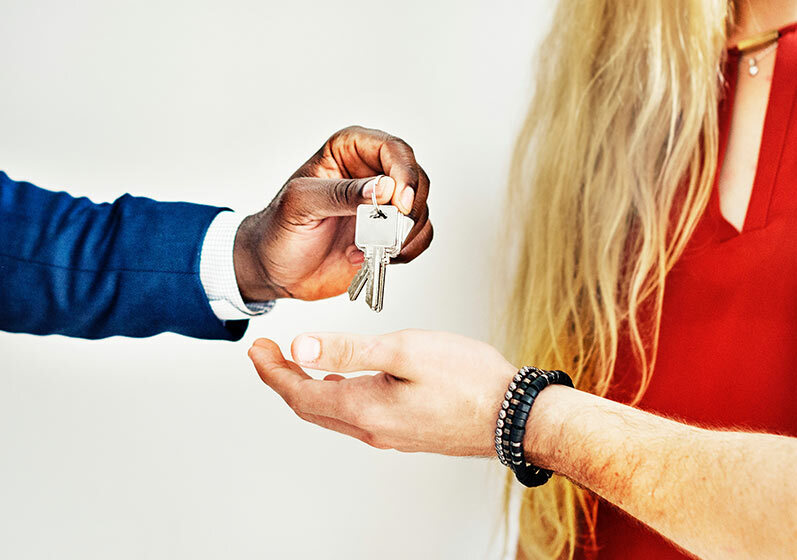 By engaging with the audience, answering questions honestly, and being real, agents build credibility and establish relationships with potential buyers (who they haven’t even met yet!). There are a lot of great articles containing ideas for real estate live streaming out there, but they require good execution to be successful. Most agents use their their smartphones or tablets to stream to Facebook Live or Periscope. These two platforms work the best for virtual open houses because they promote urgency and immediacy. Facebook’s algorithm bumps up live video to the top of the feed, so it has better chances of being viewed. However, going live from a smartphone doesn’t guarantee the best picture quality. For example, even though the content of this live stream by agent Zac McHardy is good, the quality of smartphone stream isn’t always great. Although going live with a smartphone is convenient, raising the production value of a virtual open house may set the realtor apart from the competition. Just imagine the picture from a wide angle lens on a nice camera (you could even capture that gentle morning light through the tulle curtains)! And don’t forget about sound — a good microphone could also make a huge difference. Little details like this could help create a good, long-lasting impression. To raise their live streaming game, realtors may want to invest in some very basic studio gear. This might include some video lights, a nice camera on a tripod, and a good microphone. For going live on Facebook, a simple encoder like Webcaster X2 is perfect. 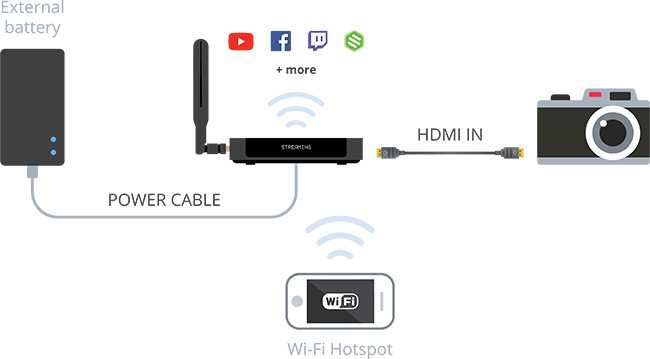 It is able to stream to Facebook or YouTube from any high quality camera with an HDMI out. 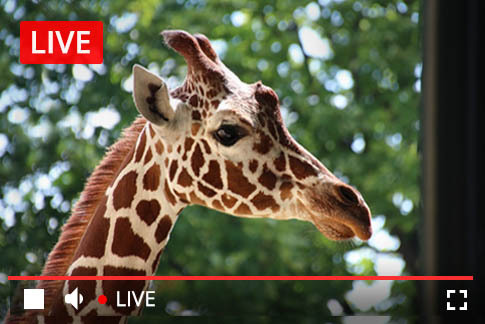 And with the recently added Switchboard Live multistreaming capability, you can now stream simultaneously to Facebook, YouTube, Periscope and more. Of course, the realtor will need to test the internet speed at the location beforehand. They will most likely need to use a wifi hotspot from either their phone or something like an LTE modem. Be sure to do a test run through the entire space to make sure there aren’t any dead zones. Check out our article on going mobile with Webcaster X2 if you’re interested on learning more. Also check out this mobile rig we’ve recently created, it’s perfect for streaming a virtual open house. Realtors who want to go above and beyond all expectations could consider getting two or three cameras and setting them up in different parts of the house, and switching between the views during the live stream. For a live stream like that, an all-in-one production studio like Pearl Mini might be the way to go. Pearl Mini allows up to 3 camera connections and switching between them, layouts, basic titles, and multistreaming. You could turn a virtual open house into an exciting live Million Dollar Listing episode! BONUS! List it Live is a weekly live show on Facebook that lets realtors show off their properties with pictures and take questions live. This show goes live every week using the Webcaster X2. Turns out, live streaming is a great tool for flipping houses. Virtual open house tours save a lot of time for both the agent and the buyer. They also allow the agent to capture leads, create new content, and build their brand. For those agents, who haven’t yet tried hosting a virtual open house – we really you do. And if you are looking to buy a home – then definitely participate in virtual open house tours to save time, shop around, and gather a lot of valuable information.